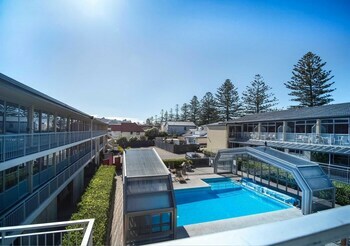 With a stay at Quality Inn Napier, you'll be centrally located in Napier, steps from Napier Beach and 8 minutes by foot from National Aquarium of New Zealand. Featured amenities include complimentary newspapers in the lobby, luggage storage, and laundry facilities. Free self parking is available onsite. When you stay at Plum Tree House and Quince Cottage in Mapua, you'll be next to a golf course, within a 5-minute drive of Mapua Wharf and Rabbit Island. Free self parking is available onsite. A stay at Cherylea Motel places you in the heart of Blenheim, within a 5-minute drive of Pollard Park and Seymour Square. Featured amenities include express check-in and laundry facilities. With a stay at Manfeild Park Motel in Feilding, you'll be 11.7 mi (18.9 km) from The Square and 11.9 mi (19.1 km) from City Library. Free self parking is available onsite. Located in Queenstown, this vacation home is minutes from SKYCITY Wharf Casino and Steamer Wharf. Free self parking is available onsite.